Freezing temperatures and heavy snows are nothing new (and we've had enough for this year!!). One idea for 19th century home owners to protect water pipes which went "up the outside of the house" was by twisting hay or straw around them. 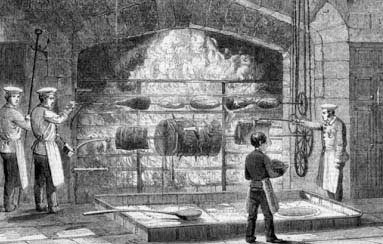 Inside pipes used in steam kitchens, boilers in wood stoves, and kitchen sinks could also freeze and burst. The following excepts tell how to handle frozen pipes and snow on the sky lights. 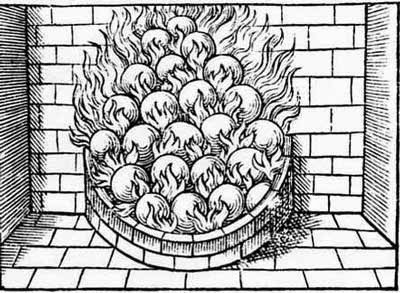 Coal balls or an early 'charcoal briquette' were made by pounding seacoal into a powder, combining with loam and then forming the mixture into balls..."according to the maner and making of snowballs..."